You are a pulsating, dynamic ball of energy! 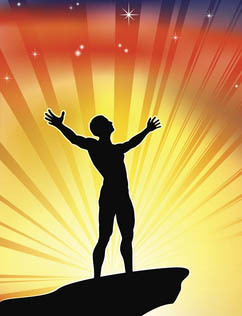 Vibrating through your body, every minute of every day are 52 energetic frequencies, or the Vibrancy Powers. Each Power is associated with specific psychological and physical traits – skills and attributes that are just waiting to be developed to help you express your full potential. Every one of the Powers has a distinctive expression, gifts to offer, and lessons to teach. Anything you want to do, learn, or accomplish can be achieved by accessing your Vibrancy Powers and making sure they are healthy, strong, and balanced. If any of the Vibrancy Powers are weak or imbalanced, they can keep you from fully living your Soul’s Purpose and the highest expression of yourself. You’ve got it all inside you to create the life of your dreams and to experience deep, lasting happiness. You’re truly hard-wired for a full and vibrant life. Each one of the Vibrancy Powers shares the same vibrational frequency a specific color in the light spectrum. This is partly why color can be so healing – it is literally helping you vibrate on a particular wavelength that is associated with one of these internal Powers. Read through the list of Powers below. Which ones do you think are strong and balanced? Which ones need some strengthening and balancing, so they can be your allies in fully living your Soul’s Purpose? all the Powers within you. As you read through the list of Vibrancy Powers, did some of them jump out at you? Even without knowing much about it, you just got that instant sense that you need some help to be able to truly express that gift? One simple, yet highly effective tool we’ve developed to help with this is the Vibrancy Essences. These vibrational remedies help you energetically align with each of the Power’s frequencies, which in turn makes it infinitely easier to assert that Power. Read more about the Essences here, and more about each individual Essence in the Vibrancy Store. 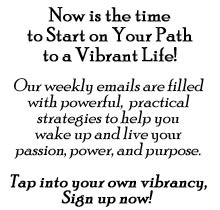 Sign up for our weekly email for more tools to access all the Vibrancy Powers!